The savvy bar manager knows how to maximize profits and get the most sales possible without sacrificing ethics or drink quality. You can do the same if you follow a few simple tips. One simple way to maximize profits is by offering promotions or discounts. The small cost factor involved in initiating these promotions make them a good promotional vehicle. "Happy hour," for example, a period of time when drink prices are generally reduced, can be an effective means of increasing bar sales. However, to be substantiated, it must draw a large volume of customers. "Happy hour" is most often run prior to opening the dining room, usually between 4 and 6 p.m. Drinks are sold at half-price or at a substantial discount. Hors d'oeuvres and salty snacks are often served, which will induce the customer's thirst. In order to offset the enormous increase in the cost of sales due to the lower drink prices, total liquor sales must be increased substantially. A restaurant that lowers all drink prices by 50 percent during "happy hour" will be simul­taneously doubling its cost of sales. 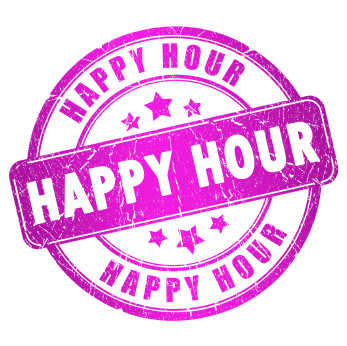 When analyzing the feasibility of a "happy hour," you must also consider the additional cost of labor during a non-operating period; the food cost of hors d'oeuvres and other snacks; and any variable costs, such as the use of additional utilities. The gross profit margin during any "happy hour" is small, though it can be substantiated with sufficient sales. An increase in revenue, small as it may be, will be created where none had previously existed. There are other possible benefits from initiating a "happy hour." Lounge customers will be exposed to the restaurant and may wish to return at a later date to try the dining room. Customers may stay past the "happy hour" period and purchase cocktails at the full price or remain for dinner. Employees will also benefit from a "happy hour" by an increase in income through increased hours and tips. This point is an important consideration, as employees may become discouraged during periods of slow or seasonal business. A "happy hour" that may not provide the restaurant with the desired profit may be deemed worthwhile for increasing employee morale and decreasing job turnover, eliminating the costly expenditure of rehiring and retraining new personnel. Another way to maximize spending, and your bar's profits, is with bar tabs. Bar tabs make it easier for customers to spend without hassle, encouraging multiple orders of drinks. 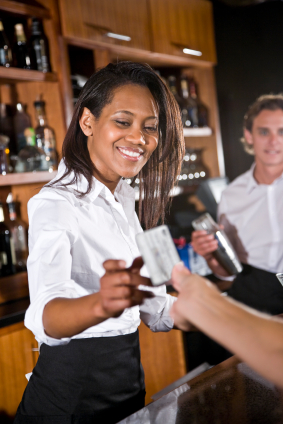 To allow bar tabs or not is a policy that can be debated from both sides with sound reasoning. Many bars and restaurants have been victimized by customers who walk out and do not pay their tabs. A policy of no bar tabs will alleviate the initial problem, but it will certainly be inconvenient—and possibly insulting—to some customers. A bar tab should always be run if a customer so desires. The lounge is a place where the customer may relax and enjoy a cocktail before dinner. He should not be inconvenienced by paying for each drink order as he goes along. Drinks should also be automatically added to the dinner bill unless the customer wishes otherwise. It takes a highly disciplined individual with a strong sense of high personal values to avoid the "natural" tendency of theft available to a bartender. Where do you find them? Hire through referrals and references whenever possible and remember, the best deterrent to bartender theft is the manager's watchful eye. When bartenders see that little to no effort is being made to control the inventory, i.e., no weekly counting of liquor, beer, wine, no draft beer controls in place, no documentation for waste (waste sheets) and free drinks, allowing bartenders to "Z" their own register, allowing "free pour", wrong glassware, and more, then you have created the opportunity for theft. The fewer the controls, the greater the temptation to steal, and the easier it is to steal. Most owners/managers are fooled by sales. You think everything is just fine when you see big numbers coming in through the register, but it's not sales, it's the costs that ultimately determine the amount of profit. Would you rather make ten cents on the dollar, or forty cents on the dollar? Without controlling your costs, you're probably making the former. Drugs, gambling, excessive indebtedness, lavish lifestyle, kids needing college tuition, vacations, little display of self-discipline and basic values, few outside interests, constant partying, etc., creates a need for extra income. When hiring, it's best to call previous employers, do a background check that includes credit and criminal history, confirm previous jobs and conduct a thorough interview that includes testing before hiring. Do not rely on your "gut feeling" about a bartender applicant. Our industry has a lousy record of checking backgrounds before hiring. If you are not a well-liked or well-respected manager, you may find that your theft problem is even bigger than you thought. The bar staff will steal to get back at you. They’ll use "emotional justification" to rationalize the theft. For example, "I worked 2 hours extra the day before and covered a shift last week on my day off and he never said thank you." If owners and managers have little or no knowledge of bartending, some bartenders will find it difficult to respond to their direction. You might be telling them what to do, and you might be their boss, but you don't know what you're talking about - or you can't explain it very well - because you lack the necessary experience and knowledge. When bartenders become aware that they are smarter at what they do than their managers and owners, they now have more control of the business. This is not a good position to be in. If the bar is a big part of your business and you're not up on bartending techniques, perhaps some bartender training will serve you well.